Blackburn’s Business Improvement District is launching a series of conversations with town centre businesses as they look to formulate a proposed business plan for the next 5 years. As the Business Improvement District move towards their renewal vote in October this year, when eligible businesses will be able to vote to decide if the BID should operate for another 5 years from 2019. The BID have previously hosted weekly working group meetings for members under the BID’s key themes “Marketing & Promotion”, “Greener Cleaner”, “Safe and Secure” and “Attract and Support”. The new style “BID Conversations” hosted by BID Executive Board members, will take place in 9 separate locations across the town, so that businesses can discuss the issues that apply to their area and their priorities for the BID’s business plan. Nicola Clayton, Chair of the Blackburn BID. said, “In a town centre the size of Blackburn and with such a diverse mix of businesses, we know that the issues that matter in some parts of town aren’t the same as the concerns of another shop, office or restaurant. “So, over the next few months, we are localising our meetings and zoning in on the detail of business life near to you to find out what is happening right on your doorstep. 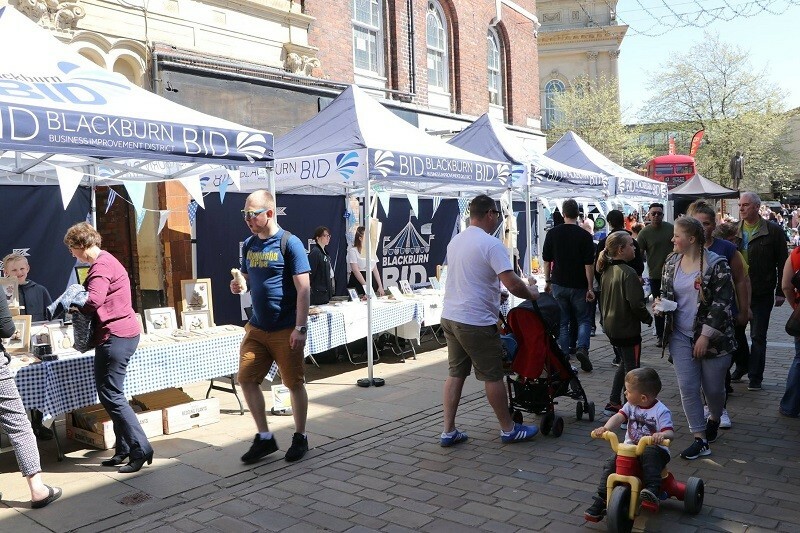 “They will be relaxed events at different time of day to enable as many businesses to participate and we are looking forward to as many businesses as possible taking this opportunity to shape a potential new term for the BID. The BID Executive Board are members of the business community who meet regularly to manage the business plan and budget of the BID. They come from a range of large and small retailers and organisations including representation from The Mall, Blackburn with Darwen Borough Council and Blackburn College. The meetings will take place in the following areas: Ainsworth Street/The Mall, Church Street, Cathedral Square, Darwen Street, King Street, Townsmoor, Northgate/ Blakey Moor / Blackburn College, Sudell Cross / Richmond Terrace, and King William Street / Town Hall Street. Any business with a rateable value of £10,000 and over is welcome to attend the meetings.